Yesterday was April 15. Waxing poetic about Tax Day is not what this post is about. April 15, 2003 was the day Song Airlines took to the skies. Each April 15 it’s nice to remember the good ole days. Song was around for 3 years and had a huge impact on who we are today. Ahhhh…memories. While waiting on my flight I bumped into a former colleague. During our chat he asked “And why would you do that?” and my response was “Because I can. I like to collect experiences.” And he wasn’t the only asking why I would fly roundtrip over the Atlantic ocean to spend 4 hours in another country. Now before your mind starts to wander, please know this was a legitimate journey. No shenanigans planned or expected. As the youngest of 9 children I used to dream of doing things like this. Experiencing something like this helps me bring my existence full circle. As a kid growing up in rural Florida I used to dream of hopping on planes and flying around the world. Those dreams have come true and are still coming true. Why this trip? Well, let me tell you about the trip. The 747, The Queen of The Skies, is rapidly approaching her last coronation. Many of the world’s airlines have retired or are retiring this majestic machine. What started as a dream for the Boeing designers ended up changing the world. The original “jumbo jet” made the world a smaller place. Every now and then you can catch a 747 operating on a domestic route. Most 747s ply the Pacific or are freighters. 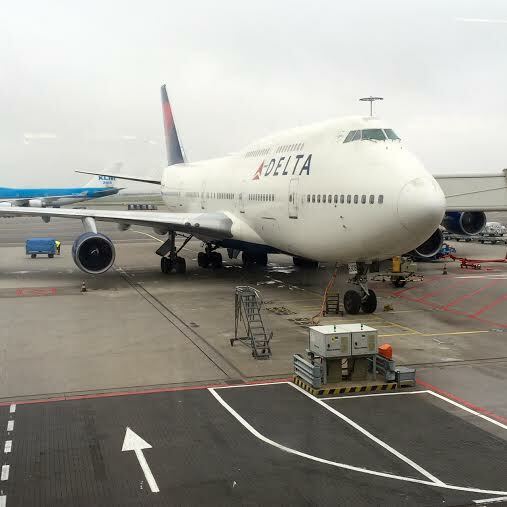 As part of the summer schedule, Atlanta and Detroit receive daily 747 service to Amsterdam. With Spring Break winding down, and summer travel not here just yet, the loads look great for NRSA travel. Let’s go! When flying NRSA you have to be strategic and most importantly flexible. 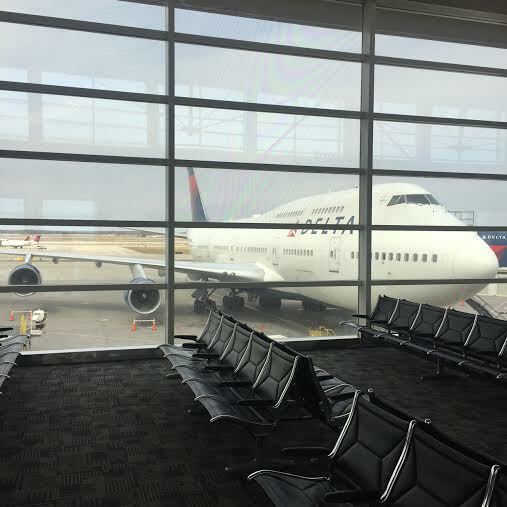 Flying to Detroit to take the daily 747 to Amsterdam was the better option because loads were extremely favorable. Hopped a flight to Detroit and had several hours to spend enjoying the airport. When boarding began I kindly requested from the gate agent seat 1K., if available. Wanted to be at the “pointy end” of the plane. Sitting in Row 1 puts you further forward than the pilots. I think most people would prefer to sit on the upper deck. However, I had sat on the upper deck of a 747 before from Tokyo to Detroit a few years back and wanted to experience something new. While sitting in my seat I took in the lines, the curves, and the essence of this magnificent flying machine. Thought about all the talented men and women who put her together. I wondered how may times she had flown around the world, who she had carried to far off destinations, what her last flight would be, where and when she would be retired. Spent the flight enjoying some tasty foods, drinking fine champagne, watching movies, looking out the window, and having brief conversations with the crew. The crew was very nice and took great care of me. While sitting there I couldn’t help but think this is exactly what I had imagined my life was going to be. We arrived early in Amsterdam. Checking in for the return flight to Atlanta was quick and efficient. The Delta and KLM agents were most friendly and helpful. Now I had about 4 hours before I headed back to Atlanta. What to do? People watch of course. And buy some stroopwafels to bring back home. The boarding process was a bit hectic as the nonstop 747 to Atlanta was very full. The company which handles security for my flight were efficient, thorough, and very friendly. There were the usual questions (“did anyone give you anything to carry?”), however, there was a difference in how they did their jobs. 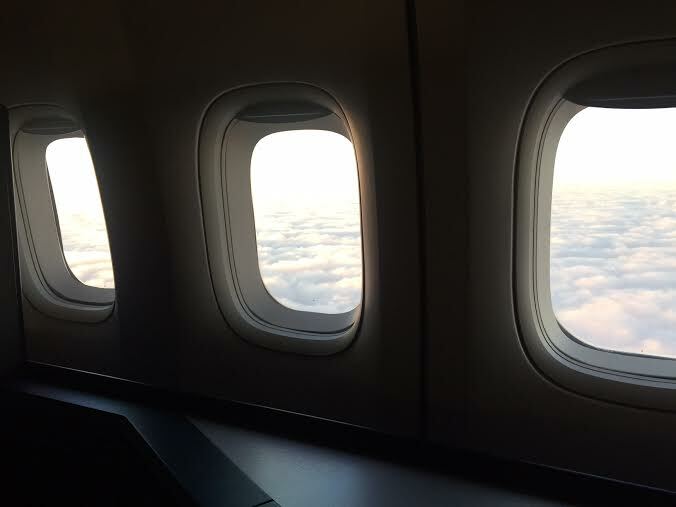 I was pleased to receive a seat on the the flight in the “pointy end” of the plane on the main deck. Just before pushback the flight attendant was able to move me to an open window seat at 9K. For the next 8 hours and 49 mins I was again taking it all in. Had some terrific food and drink, watched a couple of movies, shared pics via twitter and instagram (thank goodness for inflight wifi), and had great conversations with the crew. Speaking of the crew, they were most excellent. They treated the whole cabin with kindness and respect. They were attentive, efficient and smiled a lot. I felt grateful to have such a wonderful crew on this special trip. Some of the same thoughts I had on the DTW-AMS flight came to mind. In addition I started to think about experiences. As I get older I have begun to collect less things and more experiences. Don’t get me wrong, I still have lots of airline stuff (writing this while sitting in 747 seats from NWA). However, things are things. They accumulate. They collect dust. We store many of these things and then rarely think about them. Experiences on the other hand are with us at all times, no matter where we are. The slightest thought, sound, or smell can trigger a memory that is as vivid as when it first occurred. airlineguys™ Community builders. Aviation enthusiasts. Experience in airline operation/leadership/PR/. Former cabin crew. Discerners of excellent customer service.